Riverside, Iowa -- The Iowa PGA Junior Tour Player of the Year point totals continued for 2018 in a “best of” approach; points are earned by a player in the top 15 tournaments that he or she participated in. Anyone who competed for Player of the Year was required to be an Iowa Junior Tour member. At the conclusion of the season, the player with the most points acquired in their division is awarded this title. The age divisions included are: Boys 11 & Under, Boys 12â13, Boys 14â15, Boys 16â18, Girls 13 & Under, Girls 14â15, Girls 16â18. Events are categorized in four groups: Major, Ace, Eagle, and Birdie. Major Point events are worth the most amount of points, then Ace, Eagle, then Birdie. There were 11 Majors, 10 Aces, 10 Eagles, 19 Birdies and 7 local qualifiers for 43rd PGA Junior Championship (qualifiers are nonâpoint events). 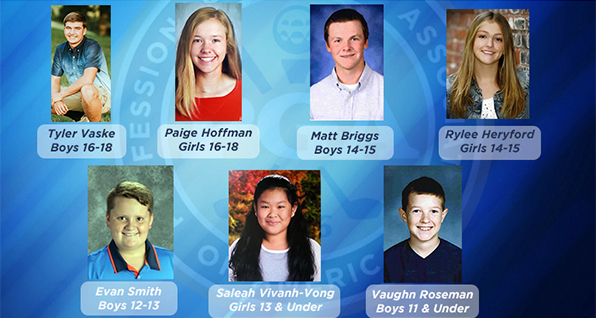 The 2018 Iowa PGA Junior Tour Player of the Year award recipients will be honored at the All-Star Pro Golf Awards Luncheon that will be held on Tuesday, October 30 at Riverside Casino & Golf Resort. The Iowa PGA would like to thank the Principal Charity Classic, title sponsor of the Iowa Junior Tour since 2010, for its continued support. Each year, the legends of the PGA TOUR Champions compete at historic Wakonda Club in Des Moines and make a lasting difference in our state. Since 2007, the Principal Charity Classic has raised more than $17.7 million for Iowa children’s charities and schools. Tyler Vaske of Knoxville, Iowa played in 10 events this summer, accumulating 5,235 points. He had five top five finishes on the Iowa PGA Junior Tour this season, including three victories. 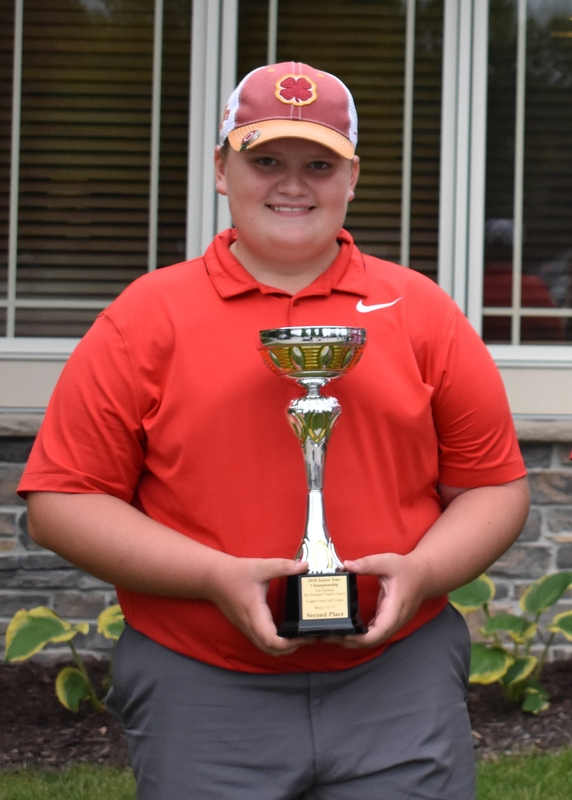 Vaske was victorious at the Iowa City Junior at Pleasant Valley, the Junior Tour Corridor Classic and the Cedar Valley Junior Tour Championship. In addition to his three victories, Vaske also finished second four times this season. Matthew Briggs of Burlington, Iowa won the 2018 Boys 14-15 Player of the Year Award with 8,355 points. Briggs appeared in 15 Iowa PGA events this summer finishing inside the top-10 at every event he played in. 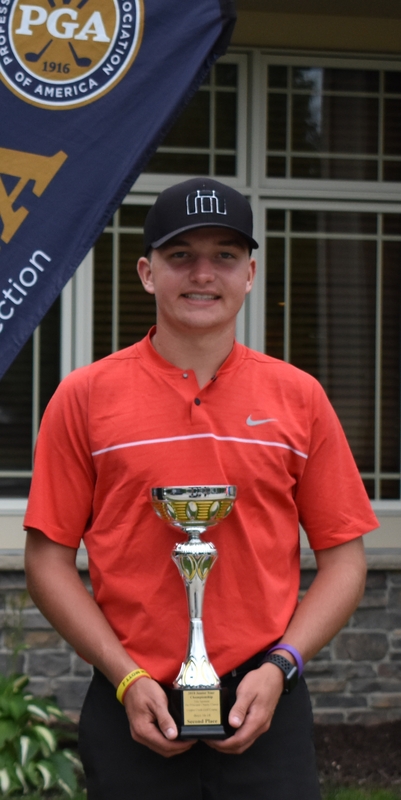 Briggs had an impressive 10 victories this season, including three Major Point event victories (John Deere Classic Junior, Eastern Iowa Junior and Junior Tour Championship). This is Briggs’ second Player of the Year honor. He was the Boys 12-13 Player of the Year in 2016. Evan Smith of Knoxville, Iowa is this year’s Boys 12-13 Player of the Year. Smith played in 14 events this season, finishing inside the top-10 at each event. 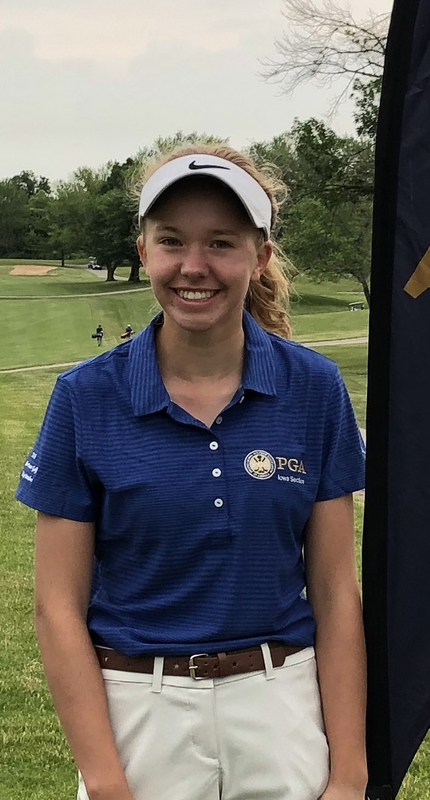 Smith won seven events in 2018, including six straight victories at the Junior Tour Mid-Summer Classic, Junior Tour Team Event & Stroke Play, the Iowa PGA Cedar Rapids Junior, the Iowa PGA Junior Championship, the Southeast Iowa Junior and the Iowa PGA Waterloo Junior Classic. This marks the third straight year Smith has won Player of the Year. He was the 2016 and 2017 Boys 11 & Under Player of the Year. Vaughn Roseman of Walcott, Iowa played in 18 events, resulting in 9,092 points, to win the Boys 11 & Under Player of the Year Award. Roseman had six wins in 2018 and eight second place finishes. 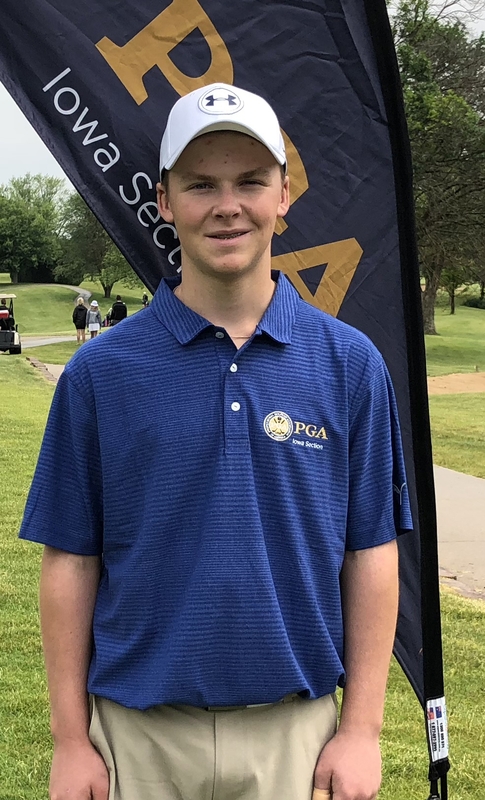 Roseman was victorious at the Iowa PGA Junior Spring Series #1, the Iowa PGA Junior Spring Series #2, the Junior Tour Kickoff, the Junior Tour Corridor Classic, the Quad Cities Junior at Glynns Creek and the Iowa PGA Waterloo Junior Classic. Paige Hoffman of West Des Moines, Iowa won the Girls 16-18 Player of the Year with 8,885 points. Hoffman, only 16 years old, has now won the Girls 16-18 Player of the Year twice. Hoffman appeared in 15 events on the Iowa PGA Tour this season. She won all 15 events that she appeared in 2018, including six Major Point events. Hoffman has won Player Year each of the last five years. Before winning the Girls 16-18 award the last two years, she was the Girls 13 & Under Player of Year in 2014 and 2015, and the Girls 14-15 Player of the Year in 2016. 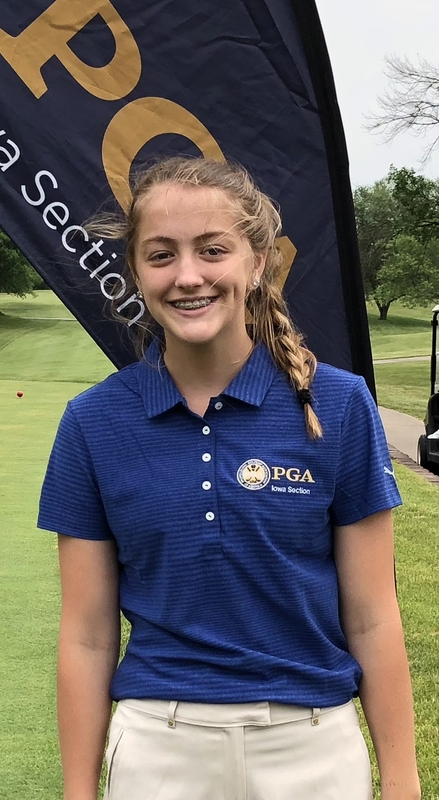 Rylee Heryford of Newton, Iowa is the Girls 14-15 Player of the Year. Heryford played in 15 Iowa PGA Junior Tour events this season, finishing in the top five in each event. She finished the 2018 season with a total of 9,300 Player of the Year points. Heryford won a remarkable nine times this season, including four Major Point events. This is the second straight season Heryford has won a Player of the Year award. She was the Girls 13 & Under Player of the Year last season. 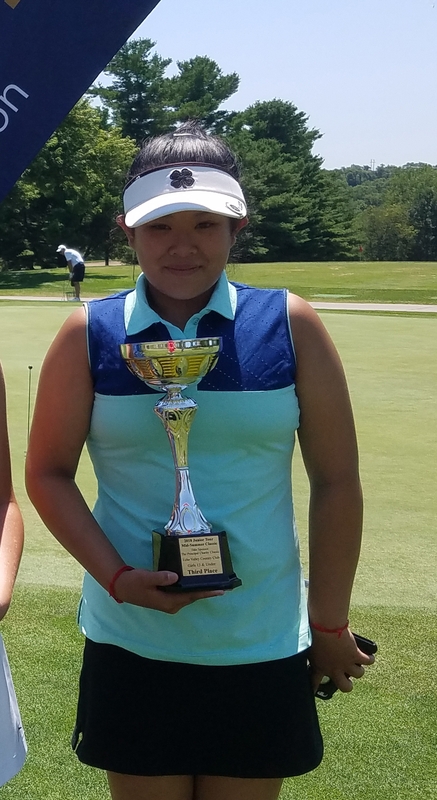 Saleah Vivanh-Vong of Des Moines, Iowa accumulated 8,865 points in 2018 to win the Girls 13 & Under Player of the Year Award. Vivanh-Vong played in 21 Iowa PGA Junior Tour Events this season, finishing inside the top five at 20 events. Vivanh-Vong had nine wins this season, including one Major Point event victory at the Eastern Iowa Junior.